This year Ernst Museum as usually will hold the annual exhibition for 2012 Derkovits scholars. The exhibition will take place from April 10 to 22, and will feature several young emerging Hungarian artists, who will be selected by a jury several days prior the exhibition. The scholarship, which got its name after Derkovits Gyula is still after more than half a century one of the most significant means in Hungary by which a young generation of artists can be supported. Almost thirty artists give style- and genre wise a miscellaneous visual experience to those visiting the exhibition. The applicants for the scholarship this year are Albert Ádám, Blahó Borbála, Borsos János, Czene Márta, Csákány István, Esterházy Marcell, Fodor János, Fülöp Gábor, Hatházi László András, Horváth Roland, Kerezsi Nemere, Khoór Lilla, Kis Endre, Koralevics Rita, Korcsmár Eszter, László Gergely, Németh Marcell, Rolik Ádám, Sipos Eszter, Soós Katalin, Süli-Zakar Szabolcs, Szabó Eszter, Szabó Éva Eszter, Szabó Klára Petra, Takács Szilvia, Tóth Angelika. The selection of several artists by the jury will take place in the begging of April. Derkovits Gyula is a Hungarian painted of the beginning of 20th century. He went through the first world war, and as many painters of the epoch, his works reflected the influence of the German expressionism. Rather shocking and sensitive, Derkovits’ artworks are strongly social and political. At the legacy of Gyula, the artworks granted a scholarship provide a complex picture of artistic dilemmas and phenomenon which are carried in minds of young artists. 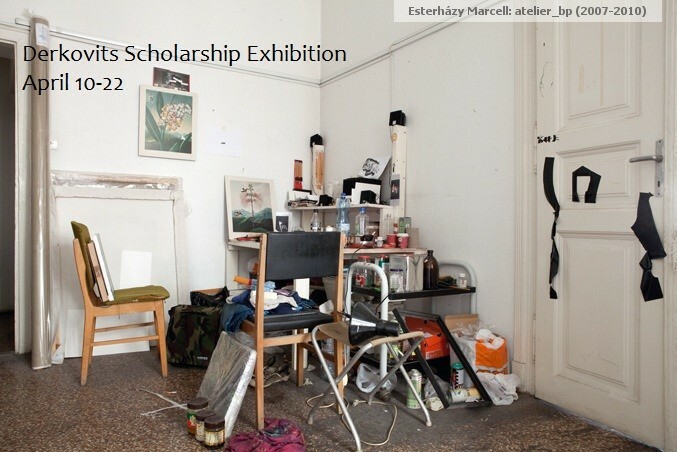 14 Már	This entry was written by ernstmuseumenglish and published on március 14, 2012 at 8:36 de.. It’s filed under About Ernst Museum, Artist opportunities, Events in Budapest, Hungary, Hungarian art and tagged 6th district, Albert Ádám, April exhibitions, Art, art 19th century, art 20th century, art and society, Art History, Art Hungary, Blahó Borbála, Borsos János, Budapest, Csákány István, Czene Márta, Derkovits, Derkovits Gyula, derkovits Gyula scholarship, Derkovits Scholarship, Ernst, Ernst Museum, Ernst Muszeum, Ernst Muzeum, Esterhazy Marcell, expressionism, Fodor János, Foreign in Hungary, Fulop Gabor, Gyula Derkovits, Hatházi László András, Horváth Roland, hungairan scholarship, Hungarian art, Hungarian art 19th century, Hungarian art 20th century, Hungarian artist scholarship, hungarian artists, hungarian expressioninst, hungarian expressionist, hungarian expressionists, hungarian scholarship, hungarian schoralship, Hungary, Kerezsi Nemere, Khoór Lilla, Kis Endre, Koralevics Rita, Korcsmár Eszter, László Gergely, modern age, modern age hungary, modern art, modern Hungarian art, Museum, Muszeum, Nagymezo, Németh Marcell, Rolik Ádám, Süli-Zakar Szabolcs, Sipos Eszter, Soós Katalin, Szabó Éva Eszter, Szabó Eszter, Szabo Klara Petra, Takács Szilvia, Tóth Angelika, turn of the century, visiting Hungary. Bookmark the permalink. Follow any comments here with the RSS feed for this post.